Adobe Illustrator is a graphics editing program specially designed for working with vector graphics. Vector graphics are those created with points and lines by means of a mathematical formula rather than with individual pixels (raster graphics). Vector graphics can be scaled and manipulated without losing sharpness, and at the same time are able to be filled with colors, patterns or gradients. 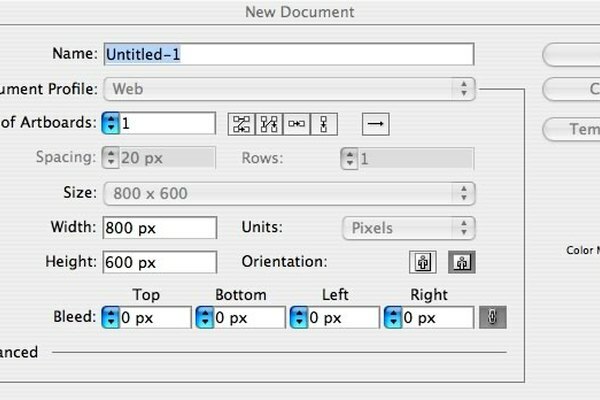 Open Adobe Illustrator and start a new document by clicking "Web Document" or "Print Document" in the right column of the opening screen. Enter a name for your file in the "New Document" dialog box and click "OK."
Familiarize yourself with the toolbox on the left side of the screen. Move your cursor over the tools and notice how a contextual help box pops up with the name of each tool. Click on the Pencil tool. This tool allows you to draw on the screen freehand. 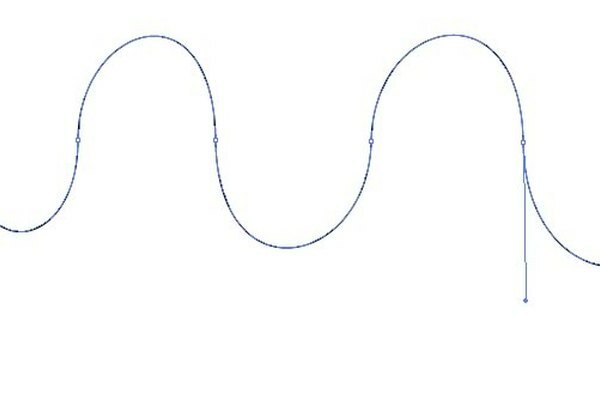 Click and drag your mouse on the screen to practice drawing lines with the Pencil tool. 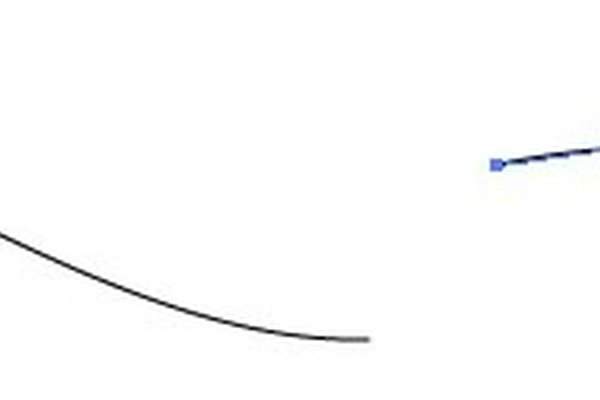 Notice how the lines are comprised of a series of connected points. 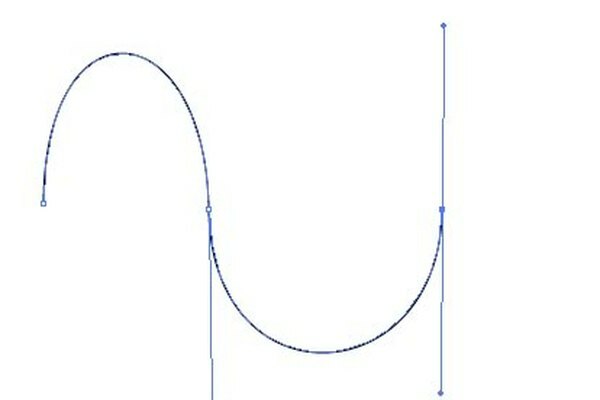 Click and hold down the mouse on the Pencil tool in the toolbox to view other Pencil tool choices: the Smooth tool for smoothing curves and the Path Eraser tool for removing points. 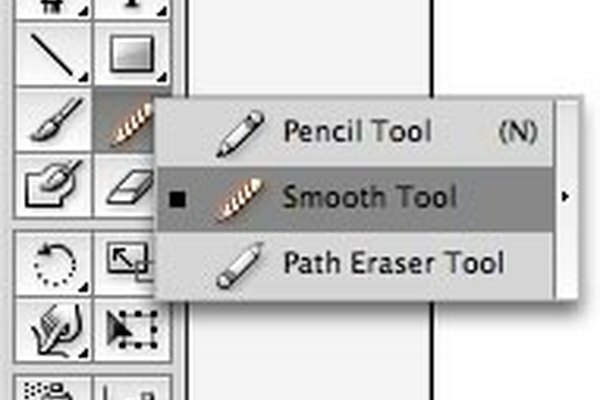 Click the Smooth tool from the pencil toolbox spot, then hold down the "Command" key (Macintosh) or "Ctrl" key (Windows) to temporarily turn your cursor into the Selection tool, and click to highlight one of your more bumpy pencil lines. Release the key, then click and drag the Smooth tool over the bumpy curve of the selected path to smooth it out. Click the Path Eraser tool from the pencil toolbox spot and repeat the keystroke in Step 4 to select one of your pencil paths, then click and drag the Path Eraser tool over one end of the selected line to remove points. Click on the Pen tool in the toolbox. To get the most out of Adobe Illustrator, you need to master this tool. 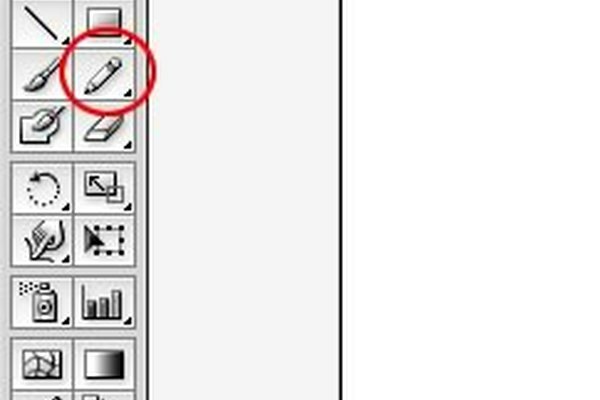 Notice the Pen tool cursor icon has a small "x" on it. This indicates you are about to create an anchor point. 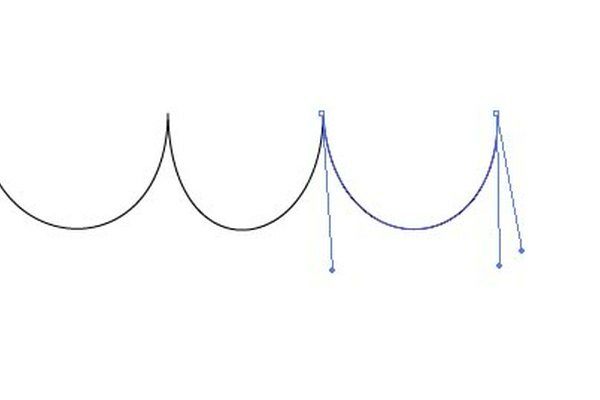 Every path segment in illustrator has an anchor point at the start and the end. Click your mouse in the document window to place your first (anchor) point. Unlike the pencil tool where Illustrator determines the points as you draw, with the Pen tool, you must place the points to create the path. Move your mouse to the right and click to add a second point to your path. Notice the small "x" is gone now that the anchor point has been set. 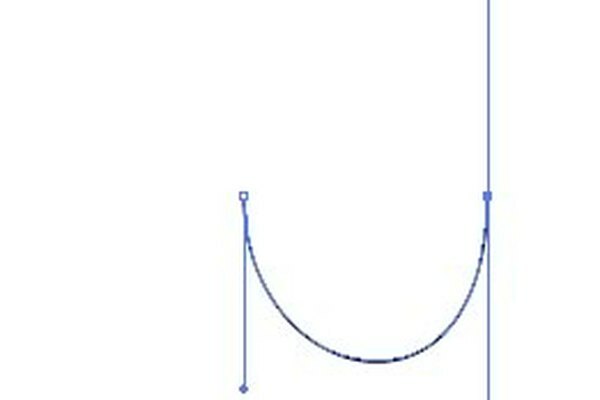 Illustrator draws a straight line segment to connect the two points. Add a few more points to your path. You can hold down the "Shift" key to create perfectly straight and perpendicular line segments in your path if you want. Click the "Pen" tool in the toolbox once more when you have enough points and your path is finished. Click in the document with the Pen tool still selected and drag UP in a straight line. This action sets the anchor point where you first clicked and the drag sets the direction for the curve in the segment. 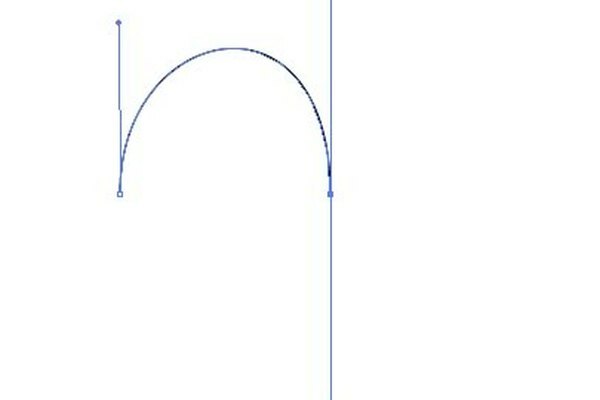 Move the Pen tool cursor to the right of the anchor point, then click and drag DOWN to set the second anchor point and the direction of the curve. You should now see an upside down U on the screen. 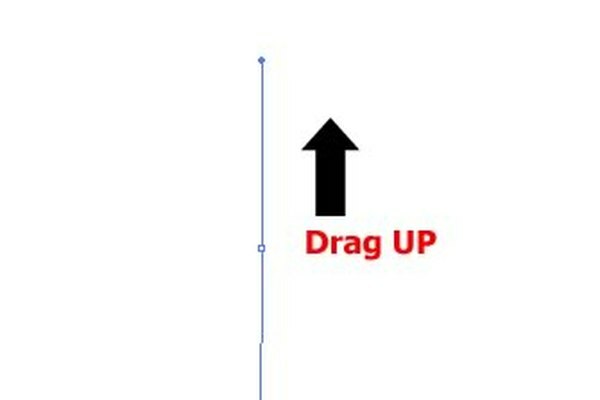 Click the Pen tool and repeat steps 1 and 2 but with opposite drag directions to create a U shape. Click the Pen tool, click and drag UP for the first point, then move to the right and click and drag DOWN for the second point, then move to the right again and click and drag UP once more. This creates a path with multiple curved segments. Try creating some up and down hills by repeating step 4 multiple times in a row. Click and drag DOWN to start a new curve, then move to the right and click and drag UP to complete the first segment. Hold down the Option key (Macintosh) or the Alt key (Windows) and click on the last anchor point and drag DOWN again. You'll notice two direction lines overlapping. This is because you're going to make your next curve move in the same direction as the previous. Move to the right, click and drag UP to create the next segment, but now they are curving the same way because of how you reversed direction at the last anchor point. Repeat steps 2 and 3 to make some waves. Click and hold down the mouse button on the Rectangle tool in the toolbox. A fly-out box will show the different shape tools underneath. 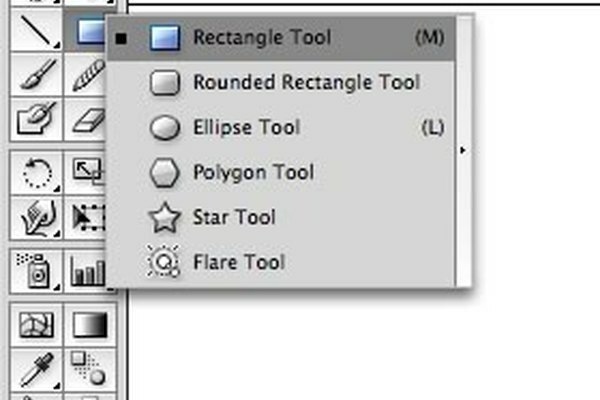 Select the Rounded Rectangle tool. Click and drag on the screen to create a rounded rectangle. Hold down the Shift key if you want it to be a square instead. Hold down the Option/Alt key to draw from the object's center. Click the shape tool once anywhere on the screen to bring up the shape dialog box where you can enter exact measurements for precise dimensions rather than dragging. Click OK when done. Click and hold down on the Pen tool to select the Add Anchor Point tool. You can use this to alter the paths of closed shapes. Click to the Pen tool on the path of your rounded rectangle to add new anchor points halfway between each of the corners. Click the Direct Selection tool (white arrow) on the toolbox and click and drag the new anchor points on your rectangle to change its shape. 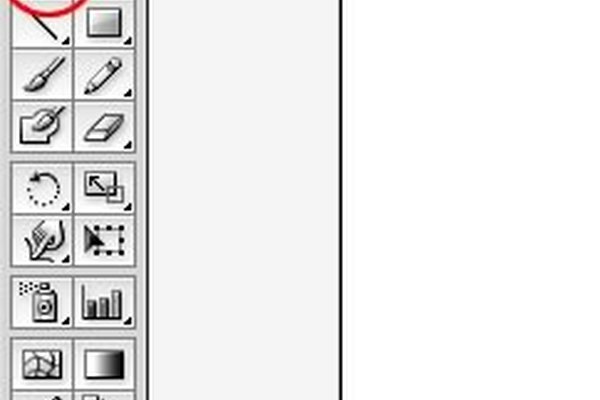 Adobe Illustrator is a complex program. Take the time to go through an in-depth tutorial, either online or with a guide book in order to learn all the tools and features included in this robust piece of software.